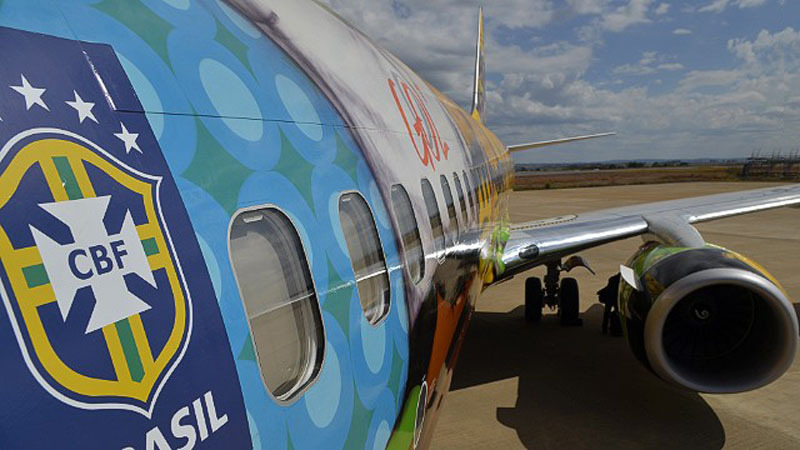 We’re 10 days away from the 2014 FIFA World Cup kickoff and while we wait for the debut event between Brazil and Croatia (June 12), let’s focus on the airplane that the “Escrete” will use in order to perform the expected long travels across the country. 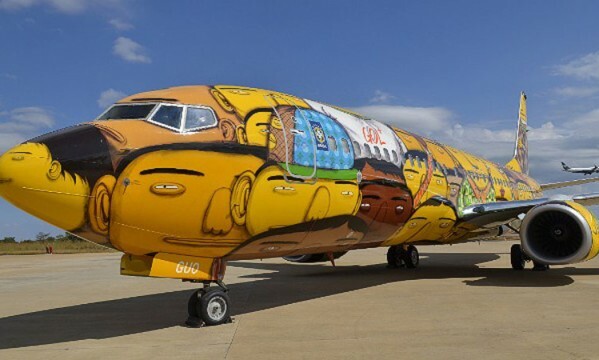 Neymar and his teammates will take ride on what will probably be the coolest airplane in Brazil this summer, which has been the target of an impressive graffiti artwork produced by Otávio and Gustavo Pandolfo, who are known as “Os Gêmeos” in South America. 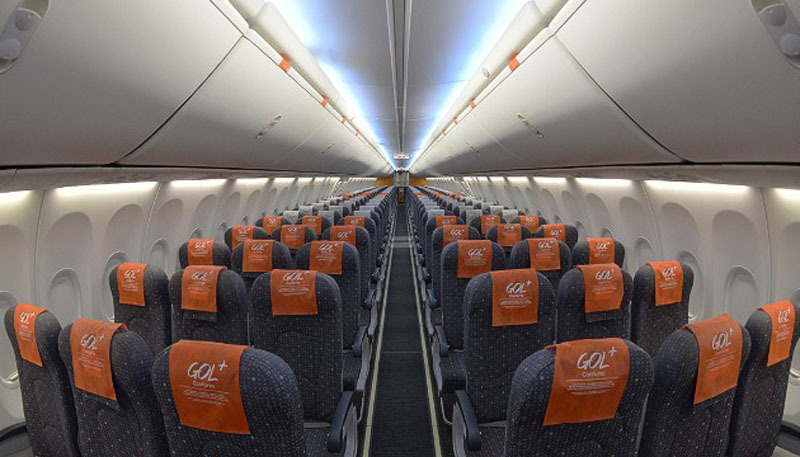 The plane itself belongs to the “Gol” airline company, the official sponsors of the Brazilian National Team when it comes to air flights. 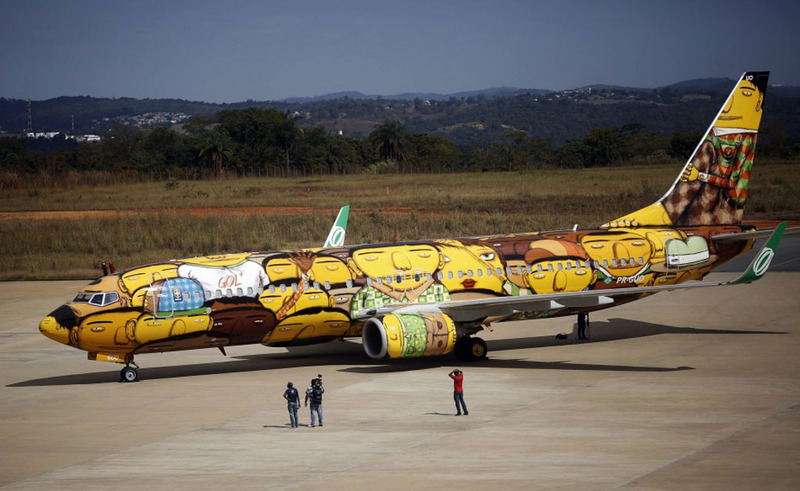 The graffiti paintings intend to show the Brazilian people diversity as well as their typical joy and well-known good mood. 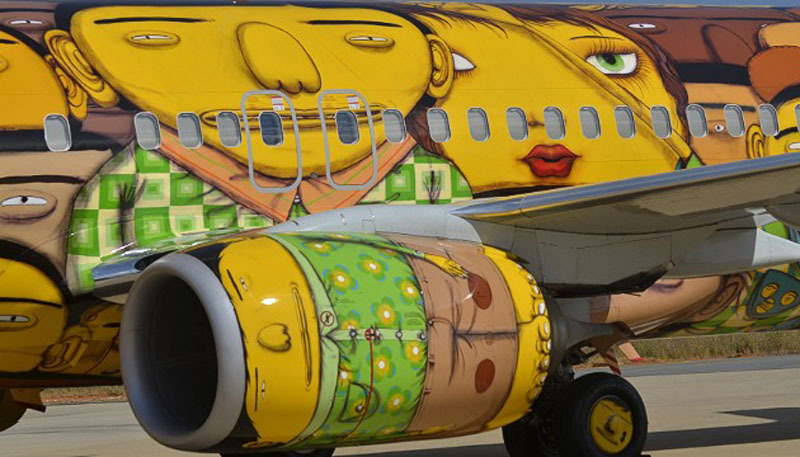 This masterpiece took the artists close to 100 hours of work to complete, as well as more than 1.000 spray cans that came straight from Spain.